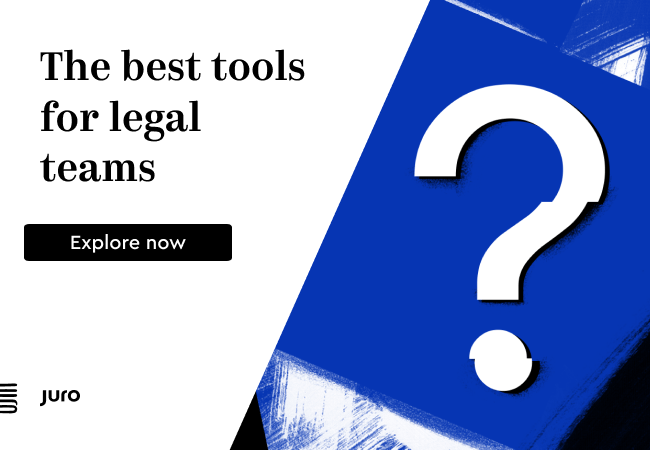 In the last year or so, a number of law firms and legal publishers have launched legal tech incubators. 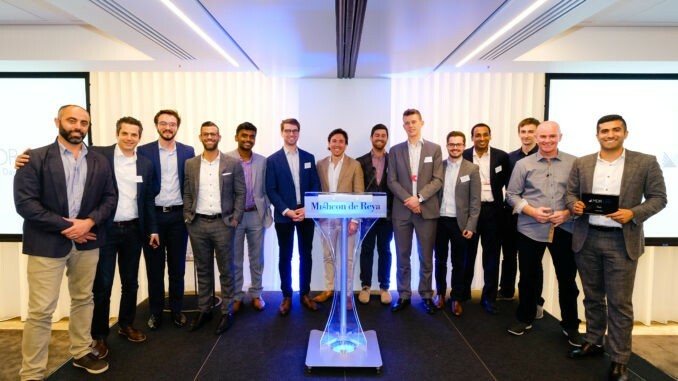 One of the most well-known is that of UK firm, Mishcon de Reya, which last year launched its MDR LAB in London and invited start-ups from around the world to take part. 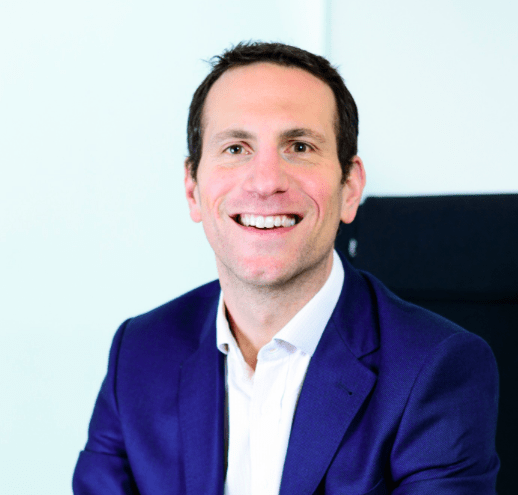 The firm is now about to embark on its second programme after the successes of the first, which resulted in investments in two of the start-ups and continuing healthy relationships with the others. But, aside from the investments, what did all of this deliver? How did the firm benefit from this? How did it change for the better? And, what did the start-ups gain? How did being inside a law firm make a lasting difference to them? 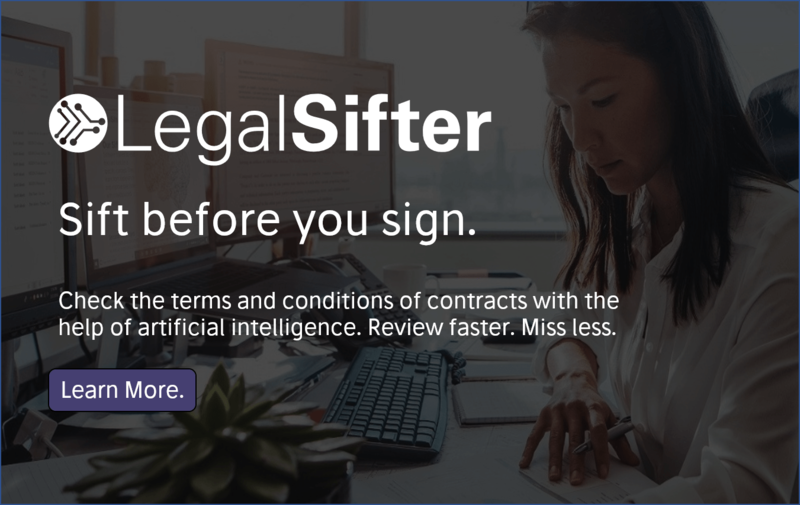 Artificial Lawyer asked the firm and the start-ups involved if they would share their experiences, and they very kindly did for this exclusive piece. First of all, let’s hear from one of the key drivers behind the MDR LAB project. ‘The first year of the LAB exceeded our expectations, as our recent announcements about the investments we have made in our 2017 cohort illustrate. But for me, one of the most exciting achievements was the way in which people across the firm embraced the technology it brought into the building. Thanks, Nick. A great introduction. 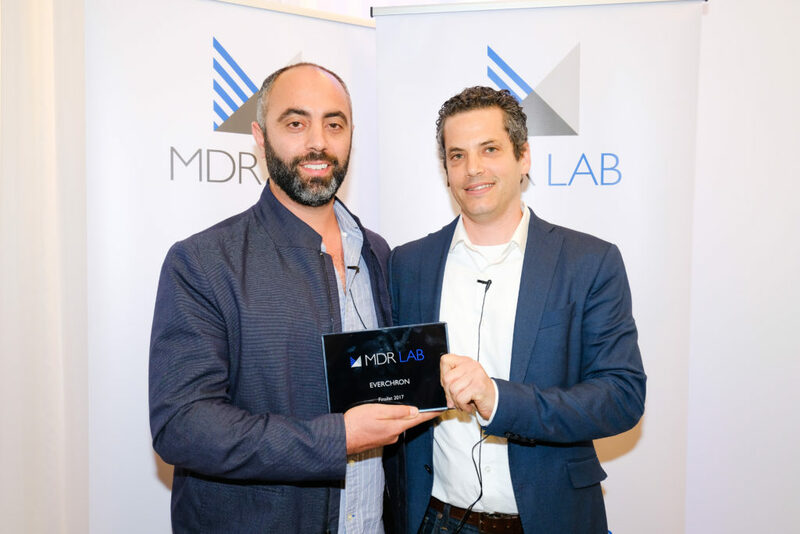 Now we look at three of the companies that took part in MDR LAB’s first programme, what they learned from the experience and what they got from it as start-up businesses trying to find their way in the legal market. ‘We gained a tremendous amount from MDR LAB. It is fair to say we entered the LAB as a group of friends and colleagues with some interesting business concepts we wanted to explore further – and I believe we were accepted onto the programme more or less on this basis – but we emerged from the programme as a start-up in the early stages of product development, having identified a significant opportunity to deliver value to real estate lawyers and their clients, that we felt was technically and commercially attainable. Key to this progress was the freedom we had to test our ideas, mock-ups and prototypes directly with many lawyers and other members of the real estate group who were proactively involved throughout. We basically set up camp in Mishcon de Reya’s Real Estate department office, got to know as many people as we could, and went from there. We definitely gained self-belief as founders – of the three co-founders, only one of us had previous entrepreneurial experience. Perhaps inevitably, as our understanding of our users and the market grew, we hit a few blocks that challenged our early ideas and forced us to re-think. I suppose we showed a degree of tenacity and ability to problem solve that gave us confidence and also helped us come together as a team. I think it’s also fair to say we all developed an unhealthy addiction to the coffee and jelly beans on offer in Mishcon de Reya’s canteen. We are very proud of what we’ve accomplished in the eight months since we entered MDR LAB. Orbital Witness is now live and undergoing alpha testing with lawyers, with a great team supporting product development. Along the way we’ve secured a coveted place on Geovation (an accelerator programme run by HM Land Registry and Ordnance Survey), funding from the European Space Agency, and won an international award from Airbus Defence & Space (1st place from 130 start-ups from 50 countries). ‘MDR LAB gave us the inimitable opportunity to be immersed in the day-to-day of a top tier UK law firm for an extended period of time. It was the ideal way for a company to learn about a market and legal system that were both new to us. As a result, we gained valuable product and market insights that would have taken us ages in a typical context. Coming out of the LAB, Everchron is a more complete product. Through extensive dialogue with and testing by Mishcon de Reya lawyers, paralegals and litigation support folks, we affirmed that our fundamental value proposition extends well beyond the US. 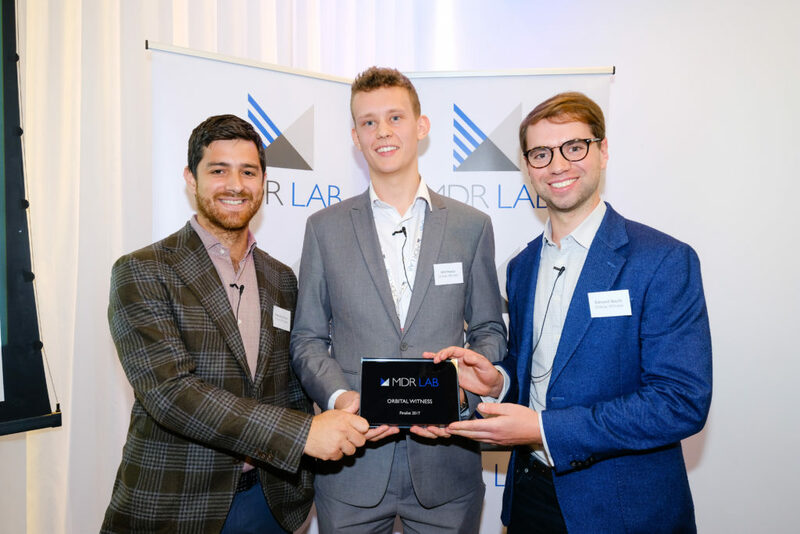 ‘MDR LAB provided us with invaluable facetime with every key stakeholder in a large law firm including the lawyers, IT team, and even the executive team – including Bambos Georgiou, the COO of Mishcon de Reya, and Nick West, CTO. Together they are the dream team in terms of knowing how to run a law firm and how to incorporate innovation into their firm’s future. In addition, we gained a deep understanding of what legal IT demands from emerging legal tech companies, and confirmed that the workflow of a lawyer in the UK is almost identical to their US counterparts. We now know definitively that we can service both markets. And of course, we also now have a second home and family in London. We become an international company sooner than we’d dreamed, and became laser focused on what our solution needed to be in order to be successful and truly a 100X solution. 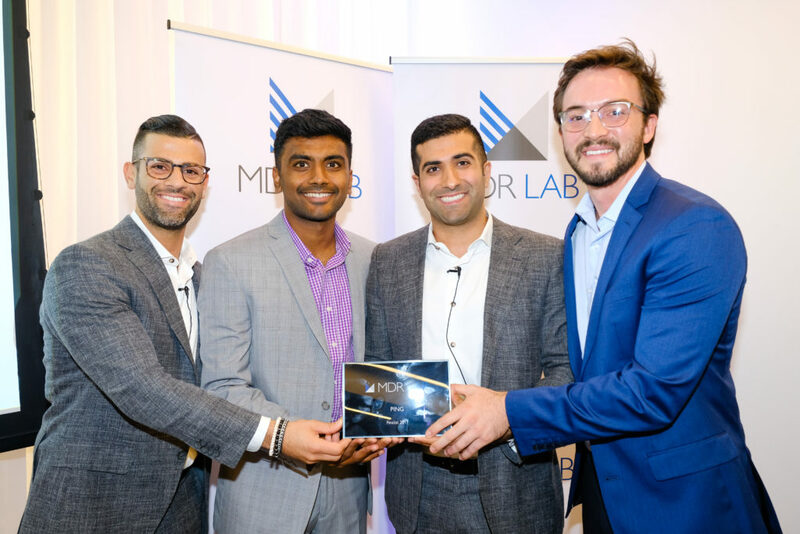 Before participating in MDR LAB, we were always comfortable working in different cities, but we were forced to learn how to operate as an international team over the course of the summer. That came with all the complexities of being apart and dealing with time zone differences. We scaled our company faster than ever before in order to hit certain milestones during MDR LAB. This tested our nimbleness and speed – which are the two biggest competitive advantages a start-up has. Thanks for that everyone, that was fascinating and inspiring. Artificial Lawyer will follow this up with a second piece that presents the views of the lawyers at the firm and what they thought. If you are a legal tech company and would like to apply for the next programme at MDR LAB, you can find more details here. The incubator will run from 8 May to 17 July this year, in the firm’s London office. Good luck. Also, if you’d like to see a short video about the 2017 programme, then please check out the video below.